Edith Jayne was born on 9 June 1936 in Vienna. As her father was Jewish the family had to flee Austria in 1938. They managed to go to Portugal and there the family stayed until May 1941 when they emigrated to the USA. Today Edith Jayne lives in Great Britain. In 1998 Edith Jayne wrote a letter to the National Fund about her life story. 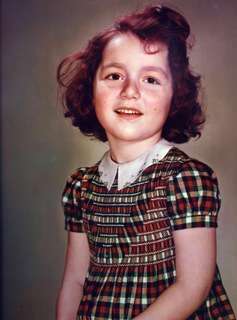 I was born in Vienna, Austria on June 9, 1936 at Sanatorium Auersperg , Auerspergstraße 9, in the 8th district of Vienna. My full baptismal name was Edith Hilda Franziska Kurcz. My father was Rudolf Kurcz, born 1 June 1904 in Monor, Hungary. Both his parents were Jewish and he was raised as a Jew. His mother, Rosa Munk Kurcz, was from Austria; his father Leopold Kurcz was Hungarian and worked for the Austro-Hungarian National Railway. My father moved to Stockerau, Austria with his mother and sister after his mother was widowed (sometime in 1910 or 1911). He went to the Gymnasium  in Stockerau and took a medical degree from the University of Vienna. My father was an Austrian citizen and practiced medicine in Vienna until the "Anschluss"  in 1938. He became an American citizen in 1947. He practiced medicine again in America from 1942 onward, having had to requalify under New York State law, until his retirement. He died in New York, USA on December 27, 1987. My mother was Maria Kurcz, her maiden name having been Rixner. She was born in Raspenau , in what was then Bohemia and is now the Czech Republic, on February 11, 1905. Her father, Franz Carl Rixner, was Austrian und a Roman Catholic. He also worked for the railway and was stationed by them in Raspenau. My mother's mother Pauline Freund Rixner was born into a Jewish family in Gablonz  in Bohemia. As she died when my mother was very young, I do not know whether or not she practiced any religion. My mother was raised as a Roman Catholic. She moved to Korneuburg, Austria shortly after the end of World War 1. She was an Austrian citizen. She attended a Handelsschule  for needlework trades in Vienna and graduated from it and worked as a seamstress until she married. After we came to America she too became an American citizen in 1947. She died in New York on May 1, 1968. 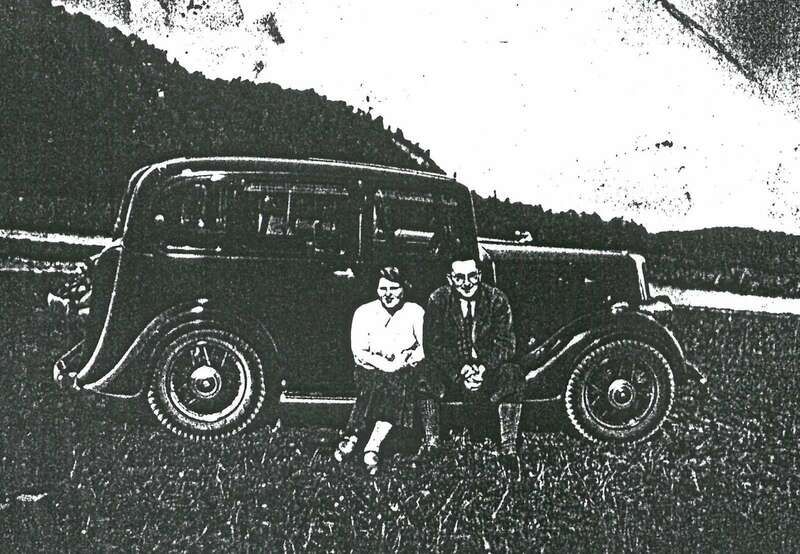 My parents were married in Korneuburg, Austria on December 29, 1930. They lived in an apartment on the Auhofstraße in Vienna while my father was doing his internship at the Franz-Josef Hospital . 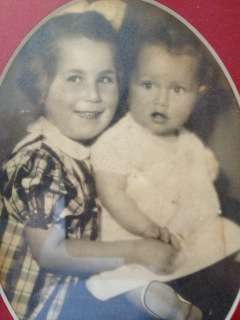 I have an older sister, born Lieselotte, on June 18, 1932; now Lisa Kurcz Barclay and living in South Carolina, USA. Sometime in 1935 my family moved to the Märzstraße 84 in the 14th district  of Vienna where my father had an office and worked being on a contract with the Austrian Krankenkasse  – the State Medical System. We lived there and he practiced medicine there until the "Anschluss". Shortly after the "Anschluss", I am told, a group of Nazi Party officials came to our apartment and said they were requisitioning it as a district party headquarters and we had to move out. They also requisitioned or appropriated my father's car. His contract of employment at the Krankenkasse was also terminated forthwith. My parents moved temporarily to a hotel in Vienna owned by some friends of theirs, while my sister and I went to stay with my maternal step-grandmother in Korneuburg. Then Korneuburg was declared "judenrein" , so we had to move out, and we went to stay with my paternal grandmother in Stockerau. My parents wanted to emigrate to the United States of America, and we had a sponsor who lived in New York. However, by US quota laws, my father counted as Hungarian, and that quota had only a few places each year. My mother, sister and I, under Czech and Austrian quotas, could have gone immediately, but as a family did not wish to be separated, we moved on a temporary basis to Lisbon, Portugal where my maternal uncle and aunt, Otto and Berta Rixner, lived, to wait until Hungarian quota opened up. We left Vienna in the middle of July, 1938 and travelled by train to Paris and thence to Le Havre as, because of the Spanish Civil War, overland travel was not possible, and we journeyed by boat to Lisbon. I believe we travelled on German passports – stamped with a "J" for Jude . We lived in Lisbon from August 1938 until May 1941. By then the American consul in Lisbon decided to allow Hungarians whose quota numbers had not yet come up to "borrow" numbers from later years, and so my father was given a quota (borrowed from 1947) and we were able to emigrate to America in May, 1941. My parents lived in New York from then until their respective deaths. I lived there until I left home for university in 1953. As to our economic circumstances and the effect of being deprived of home, close family, security and a future, these at least for me were quite devastating. Although I was very young, I picked up the feelings of anxiety and fear of my parents and found the experience of emigrating and twice being in countries where I did not speak the language and had difficulty understanding what was said or being understood utterly bewildering. I began bed-wetting, something that continued until I was 14 years old. We were quite suddenly poor and did not know where or how we would find or make sufficient moneys to purchase housing or food. My father did after a while find a position and job in Portugal (he could not practice privately but was allowed to work for a Jewish welfare agency as a doctor) but it was nearly two years before he re-qualified in New York and our family of five lived on my mother's wages as a factory hand in the dress industry in New York City. Our material circumstances were irrevocably changed. All of this came about because of Nazi ideology and the fact of my father's religion. I can say that the experience of racism has had a lasting effect on me – homelessness and lack of material resources are still (irrational perhaps) fears I have nightmares about. A sense of insecurity has dogged me throughout both childhood and adulthood and I think stems from this experience of being made homeless and stateless at the age of two. As to the rest of my autobiography I attended primary and secondary schools in New York City and then college/university gaining qualifications as a teacher. I married first in 1956 and have two children, born in 1961 and 1964 respectively. We came to Europe in 1967 and I have lived in the United Kingdom since then although the marriage was dissolved in 1972. I married again. He died on February 4, 1998. I am currently still in employment (at the University College of St. Mark & St. John in Plymouth) but am due to retire on December 31, 1998. In October 2013 Edith Jayne visited Vienna for the fourth time after she had to leave with her family in 1938. She wrote the following text about her visits to Vienna and her life story shortly after this visit. This account is written just after returning from Vienna after a visit at the invitation of Jewish Welcome Service Vienna . This was my fourth visit to Austria. The first visit having been with my parents as a teenager. We toured Austria by rental car with my father driving – starting in the Alps and visiting Wels where my mother's brother and family lived, my cousin Georg joining us in going to Vienna where we visited my grandmother (also from my mother's – Catholic – side of the family), my godmother and my father's sister Irene who had spent the war years in Israel but had then returned to Vienna. My parents showed me various sights, none of which I remembered as I'd been under two years old when we left, four months after the "Anschluss". Our apartment had been bombed during the war but we walked in Schönbrunn  near where we had lived at Märzstraße 84. We spent most of our time in coffee houses and visiting restaurants with various friends and distant relations who had returned after exile or were not Jewish and had survived the war in Vienna. We knew that all my father's cousins in Hungary (some 40 members in all) had stayed on their farms until the war was nearly over and in 1944 were then murdered in Auschwitz-Birkenau. In 2005 I returned with a good friend (also German-speaking), I think partly to make peace with my former homeland and see if I could lay some ghosts to a rest ... not entirely successfully. The sightseeing was great – we visited lots of museums, the Spanish Riding School, walked in the Wienerwald , watched an apple strudel making demonstration in Schönbrunn and walked miles along the Donau and the Donau Canal . We stayed at a friend of mine's flat near the Prater  and found our way round the transport system easily. Luckily much of my German language resurrected itself from my memory and I had no trouble in understanding, though a bit tongue-tied at times in responding. In 2009 my younger son and I stayed at the same flat and toured my former homeland. And I finally went to the Opera – something I promised my mother I would do as she had always maintained it the most beautiful of the world's opera houses. I saw "Arabella"  which was a bonus as I love Richard Strauss' operas. So in 2013 I was invited to visit Vienna again by JWS. This was a very different visit – I had no family at all left in Vienna and I went by myself, as none of my children or grandchildren was able to join me. Quite by chance, I did meet several others whom I had known earlier in New York – three had been to the same primary school and one was a friend from high school. Curiously we had never talked about our family backgrounds while children, nor exchanged life stories. So a bit about my family history ... I was born in 1936, the second daughter of my parents – having a sister Lieselotte (later anglicized to Lisa when we became USA citizens), who is four years older than me. My parents met playing tennis – both of them living in suburbs of Vienna, my mother in Korneuburg and my father in Stockerau. Neither of them were religious – my mother's family was Catholic, and my father's Jewish. My father had qualified as a doctor in 1929 and by the time I was born had an established position as a Frauen- und Kinderarzt  being on a contract with the Krankenkasse and working in the 14th district of Vienna. He had a flourishing practice, we had a large circle of friends and relations and a nursemaid cared for my sister and me. All this was suddenly terminated two days after the "Anschluss". From a not quite two-year-old's perspective it was a disaster – I lost my beloved nursemaid (as she could no longer work for Jews), we were boarded out with relations we hardly knew while my parents tried to get immigration papers and sort out a place to flee. Everyone was tense but no one explained anything to us children, and I began bed-wetting and having nightmares, and my sister started sleep-walking. We left Austria in July – travelling on German passports marked with a "J" for Jude and went by train to Paris. My parents had finally had sorted out a passage to Portugal as my mother's brother lived there and could take us in. Three of us had visas for America but my father didn't, as the quota for Hungarians was smaller than the Austrian quota. Not speaking the language and not having a home of our own were difficult for us children but the families tried hard to establish new patterns of living, and we were fortunate in having relatives. Portugal has had quite a long history of religious tolerance (except, of course, during the Inquisition). My father was able to work as a doctor for a Jewish welfare agency in Lisbon. However, by 1941 it was feared Hitler would invade the Iberian Peninsula, and the American consul began issuing visas to those he deemed "vulnerable". Thus in May 1941 we sailed to America on an American liner. My paternal (Jewish) grandmother had followed us to Portugal and also later did so to America, and it is because of her that I retained knowledge of German as she was never fluent in English and we continued to use German to speak to Omi . She had eight siblings and they all managed to escape from Vienna – one to Palestine, two to Shanghai, four to America and another I can't remember to where. As to religion – my grandmother ate matzo  during Passover , and we all celebrated Christmas. My sister had attended a German-Catholic kindergarten in Lisbon and continued to go for Catholic instruction once we got to America. I joined her but was never enthusiastic and stopped before I was in my teens. My father attended synagogue only if invited to weddings or bar mitzvahs  by his patients. Many of my school friends were Jewish but few were religiously observant. I did learn kosher rules as an au pair one summer to an orthodox Rabbi's family when I was in my teens. My mother went to church once or twice a year and scandalized my sister and me as she refused to go to confession but nonetheless took communion. Ours was, as in Vienna, a rather secular or non-religious household. I do recall two early experiences in New York – we were sent to a German refugee day care centre called Children's Colony as my mother was the only wage earner – taking a factory job firstly in confectionary and later in the dress industry, and my father was enrolled in a learning program to re-train to pass his New York State Medical Boards so he could practice medicine again. For some reason I found it a terrifying place and was hugely reluctant to attend. When my grandmother arrived from Lisbon she took over childcare and I didn't have to attend any more. Interestingly four of the fellow visitors to Vienna in October 2013 had also attended Children's Colony – and later P.S. 9 Manhattan, the local primary school – where we all first knew each other. Although I was terrified at my first day of school in September 1941, as I spoke no English and worried I wouldn't be able to ask to go to the toilet, I soon loved school and fairly quickly learned the language. The teachers were kind and helpful and taught me vocabulary, which I proudly took home and taught my mother. America declared war on Japan and then Germany just after Pearl Harbor was bombed in December 1941. We got occasional information through the Red Cross about my (Jewish) great-grandmother who remained in Vienna, who was diabetic and died in 1943 just before being deported eastward. We had some anxious times money-wise – firstly trying to live on low wages my mother earned and then until my father was able to establish a moneymaking medical practice. I always thought I was "different" and wanted to wear American rather than European clothes (my parents had bought clothes for years ahead as they couldn't take out monies but could take out goods). My parents were chauvinistically Austrian for quite some time – thinking us more cultured and educated than our American neighbors. Almost all our social contacts were with Austrian or other central European refugees. My grandmother continued to produce Austrian meals for us at least in our first five years in America. As to language – once America was at war my sister and I conversed in English, as we didn't want to speak the enemy's language. My parents continued conversing in German until after the war, and my grandmother never really mastered English, which is why I have a reasonable speaking knowledge of Austrian/German at least at 9-year-old vocabulary level, although I never really mastered German reading and writing. After the war we began to find out about deaths of relations in extermination camps and sent food parcels to surviving friends and relations. My Austrian (Catholic) grandmother had also suffered hunger and other difficulties under the Russian occupation of Vienna. In 1947 we all became American citizens – one of the prouder moments of my youth. We also went to an Austrian reception of some sort in New York, which was the first time I saw the Austrian flag, and my mother taught us an appropriate curtsey for Habsburg royalty and we dressed in dirndls. I found the experience bizarre as by this time I didn't feel at all Austrian (though also not quite American). Looking back I know that I retain a fear of rejection, of not "fitting in" and being an outsider. I also know I am passionate about human rights and working for peace. I am a staunch advocate of democracy. Latterly in wanting a spiritual home, I have found Quakers . It has satisfied my spiritual hunger. Certainly my early experiences of immigration have had a profound influence though I recognize the good fortune we had to remain as a family, to make our way anew in two new countries and to have been spared real privation and have grown up in relative peace and security. I had a most interesting visit this month to Vienna and am thankful for the opportunity. I met some fascinating people who had infinitely more privations than we had, and I learned quite a bit about Austria today. The government officials were dignified and genuine in their wish to show us things have changed and to welcome us. It seems sad there is still such a small Jewish community in Vienna when it had been so large and vibrant in the 1930s. The visit to the synagogue was interesting though I would have liked to have more information about the place and the composition of the community today, and to talk to some of the members there. I did meet some fascinating fellow-visitors and felt welcomed and well looked after by JWS Vienna. Excerpts from the autobiographical testimony of Edith Jayne were read by staff members of the National Fund and the General Settlement Fund in the Year of Remembrance 2018, marking the 80th anniversary of when German troops marched into Austria: Listen to recollections of people who bore witness to the events of 1938. Former private hospital in Vienna. The "Anschluss" refers to the annexation of Austria and its integration into the German Reich on March 13th, 1938. Meant is probably the Kaiser-Franz-Josef-Spital, Vienna's oldest hospital. Austrian statutory health insurance provider. "Clean of Jews", a Nazi term meaning that all Jewish inhabitants of a certain region or city have been expulsed or murdered. The Jewish Welcome Service (JWS) was founded in 1980. JWS has made it possible for thousands of former Vienna residents who were expelled from Austria in 1938 to visit their former home town. For more information see www.jewish-welcome.at. The Imperial Schönbrunn Palace which is surrounded by large gardens was the summer residence of the House of Habsburg. The Vienna Woods in the west of Vienna are a popular recreation area. The Donaukanal (Danube Canal) is a branch of the river Danube that passes the city center of Vienna. The Viennese Prater is a huge park with rich pastures in the 2nd district of Vienna. It also includes a well known amusement park. Opera composed by Richard Strauss with a libretto by Hugo von Hofmannsthal. German for gynecologist and pediatrician. Special bread which is eaten during Passover. Passover or Pessach: important Jewish holiday, commemorating the Israelites' exodus from Egypt. Traditional Jewish ceremony after a boy is 13 years old and thus becomes responsible for his actions. Quakers or "Society of Friends": a religious community that originated in 17th Century England and that, among other things, advocates peace, tolerance and freedom of faith.